Discover variety of flooring solutions for home and business project. Whatever you need from new floor design, installation, floor repair or refinishing for any space and material structure we expertly handle with desired result and finishing. We specialize in the installation of new ceramic and wood flooring in addition to refinishing of existing floor in residential, industrial and commercial buildings. Get cost-effective flooring installation, repair and refinishing services in Manhattan, Bronx, Brooklyn, Long Island, Staten Island, Queens, entire NYC and Tri-State Area. If you require something for your home, office or industrial space, our design standards will be diverse fit to any requirement without compromising on quality. You will get flooring from the certified and trusted contractors with the look and solidarity our perspective customers need. The best flooring in the world would be worthless if it is improperly installed by the contractors. That’s the reason why the professionals at Tetra Construction work only to the highest industry standards. Your satisfaction is our ultimate goal. Tetra Construction offers full range of premier flooring services in Tri-State Area of New York. The knowledge and experience of our professional flooring experts will assist you finding the right flooring type for your home or office. We invest the time to understand each project’s needs, evaluating everything from flooring system construction and material attributes, to appropriateness of pattern design and color palette. We know financial plan matters. We deal with selected manufacturers, various properties management companies, establish and maintain excellent relationships and offer the most competitive pricing on the flooring. Need consultation on your flooring project. Call us Now! 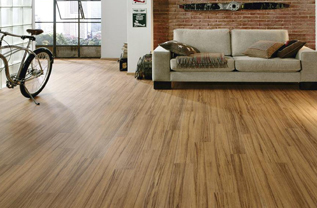 Get customized flooring solution anywhere in New York City and surrounding areas.